Ah, if only preparing your E-commerce business for a Shopping Ads Campaign was ‘that’ simple. But hey, it’s not that bad either. And definitely not tidy-the-spare-room bad! If you work through this guide, your ad campaign can be up and running in no time at all. It’s specifically written for brands hiring a professional marketing agency to manage their Google PPC campaigns. In this article, I’ll take you step-by-step through the process of getting your E-commerce business ready for a Shopping ads campaign. Unfortunately, your agency can’t do all the setup work — you’ve got to do a little. No, the dog can't eat your Shopping ads homework! Useful: If you’re going to be running a Shopping campaign, I suggest you also read our Complete Guide to Google Shopping Ads and our Walk-through of the Google Auction. If you don’t have a Google account, or you’d rather set up a new one for your business — this is the time to do that! You can create a new account Google Account here. This will enable you to: collect customer ratings (improve click-through-rates), get free advertising vouchers, and other helpful stuff. 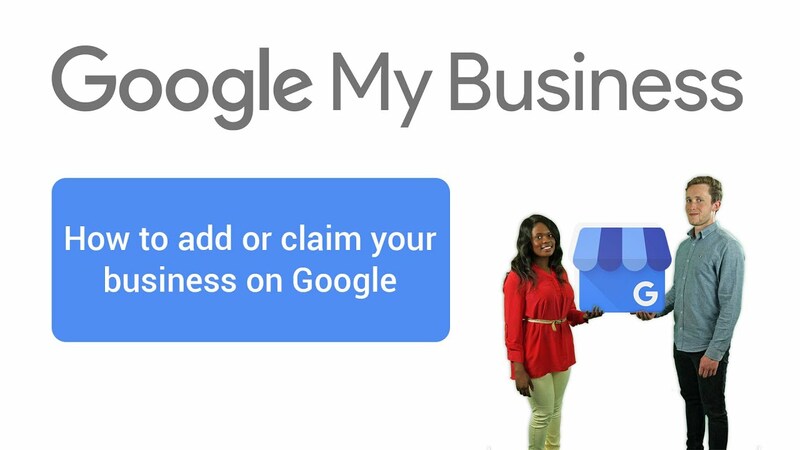 Set up your Google My Business Account here. Aside: Don’t worry, you can hide your business address from the public. Side note: You have to set up an Adwords Express account before you can access the full version of Adwords, annoying, but true! Adwords Express will ask you to create a campaign and add your payment details. You have to do it — it’s unavoidable! So, set up your Adwords campaign, but don’t worry about the details, like the ad copy(you won’t be using it). This should take you 5 minutes, tops! As soon as you’ve made your campaign and your first advert — deactivate it. That will stop any of your money being wasted. Next, you must contact Google Ads customer support (contact detail are on the page) and ask them to switch your account to the full and professional version of Adwords. Click the three-bar-burger in the top left corner and you’ll see the contact details in the fold out menu . After the Google team make the necessary changes, you’ll have access to the full version of Google Ads. Want your campaign to be professionally managed? You’re going to having to give the agency access to your Google Ads account. Log in to the full version of your Google Ads account here. At the top of Google Ads, you’ll see a tools icon(with a spanner), click that. Next locate the Account Access menu option, click that. Hit the plus icon and enter the agencies provided email address — if you’re one of my agency clients, it will be my email address. You’ll also need to set the Access level — the level of permissions you give your agency — learn about the various levels here. For my agency, I request Administrative access. Finally, hit the send invitation button. Set up Google ads conversion tracking, so the advertising team can learn which ads are leading to valuable customer goals: like purchases, sign-ups, and time on site. Conversion tracking helps separate the winners and the losers! This knowledge, will help the agency team optimise your campaign — focusing energy, budget, and resources on winning ads. Either yourself or the agency can generate the tracking code. Read Google’s guide here. You will however need someone (you/website developer/agency) to add the code to your website. I also recommend that you setup a Google Analytics account. Avoiding Google Analytics is very naughty! Google Analytics is an essential tool for every online business. It will help you learn where things are going right and wrong in your marketing funnel — including paid advertising and other channels such as social media. Go here and sign up to Google Analytics. For Google Analytics to work, you must add another piece of tracking code to your website. You’ll find instructions for installing these here. Again, someone in your team will need to add this code to your site. Google populates all Shopping Ads with product data from the Merchant Center. So, it’s essential that you setup an account for that too. There’s a couple of options for adding your Product data. Including: a spreadsheet or XML. The spreadsheet options is normally easier for small retailers. They even provide a template for Google Sheets. Would you prefer not to manage your shopping feed? Ask your agency for help. Congratulations — You're Shopping Ads Ready! Kudos to you for making it this far. You’re now ready for a marketing agency to take over and start managing your Shopping Ad campaigns. And as a special bonus, you’re not only ready to run Shopping Ads, you’re also ready for Display Ads and good-old-fashioned Adwords Ads. Did I miss anything out? Need more details? Let me know in the comments below. Andrew is the founder of Bright Arts, a marketing agency that helps positive thinking brands sustain and grow. Ready to move your business forward? Book a free 15 minute consultation with Andrew today!